Rag & Bone boot in Italian crinkled leather and cotton denim. For in-store inquiries, use sku #2470419. 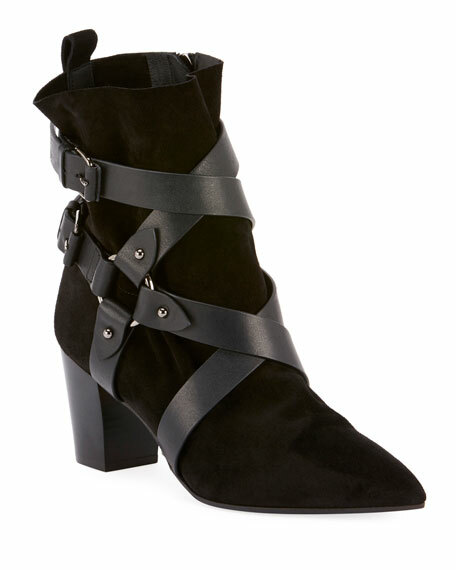 Jimmy Choo suede boots with removable leather stirrup covering for to-the-knee style. 4" covered stiletto heel. Pointed toe. 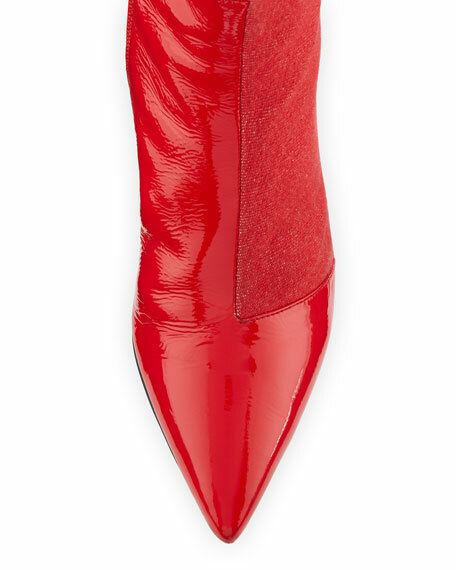 Bootie: side zip eases dress. Boot: pull-on style. Leather lining and sole. "Hurley" is made in Italy. 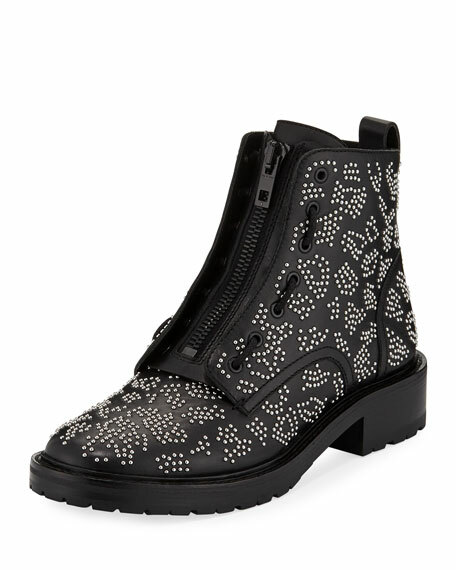 Rag & Bone calf leather boots allover stud design. 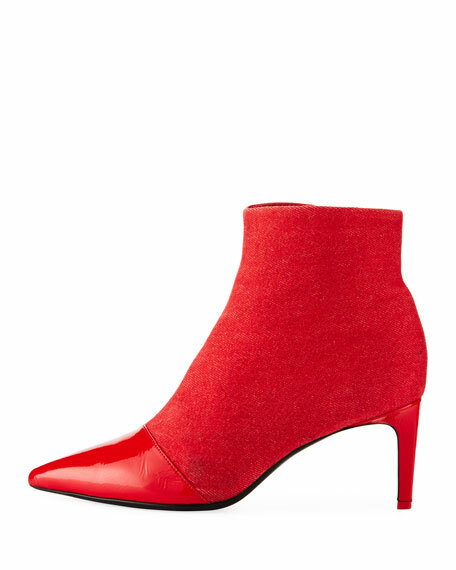 1.5" stacked chunky heel; 5"H shaft. Round toe. Front zip with laced sides. Pull-tab at back collar. Leather lining. Rubber outsole. "Cannon" is imported.